I have a confession to make. I've been listening to Christmas music for about 3 weeks now. I can't help it; I love it. 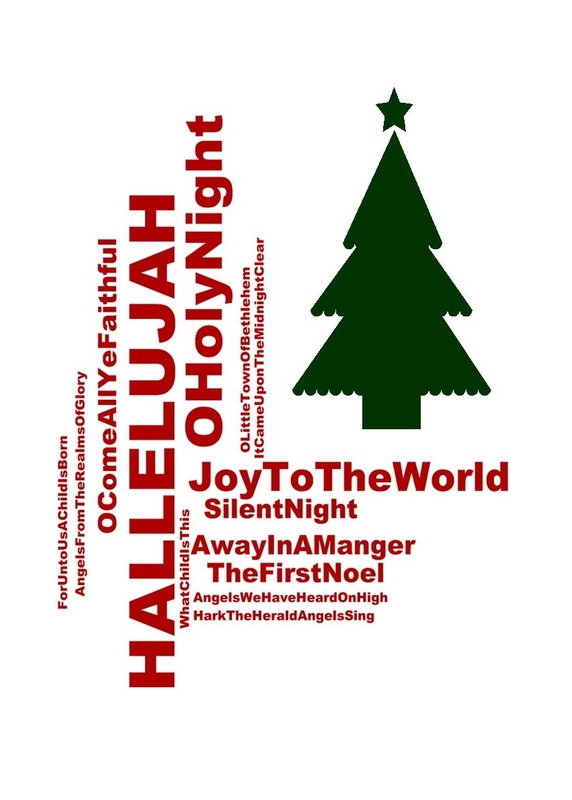 In honor of my love for Christmas music, I have another free printable for you - a 5x7 Christmas song word cloud. After you print it, trim it to 5x7, and slap it into a frame. Quick & frugal Christmas decor!